Divde will hit the road in the UK for a February headline tour. Support comes from All Ears Avow and Junior. Forming in early 2014, Divide barely had time to breathe once first single Not All Those Who Wander Are Lost was released, perking up the ears of BBC Radio 1, XFM, Amazing Radio, The Scottish Sun, Scuzz TV, Kerrang!, Rock Sound and Punktastic. This wave of momentum led to their support for fellow Glaswegians Vukovi, alongside tours with Rory Indiana, Forever Never and Breathe In The Silence, and a performance at T In The Park. However, the band met their first struggle with several line-up changes, including the departure of their then singer, which set them back in their tracks. Eventually, the band recruited Nicole Mason on vocals, who had up until this point dabbled as a solo artist, inspired by her love of soul and blues music. Her emotive and flawless croons were a perfect fit to Divide‘s breed of melody driven rock. 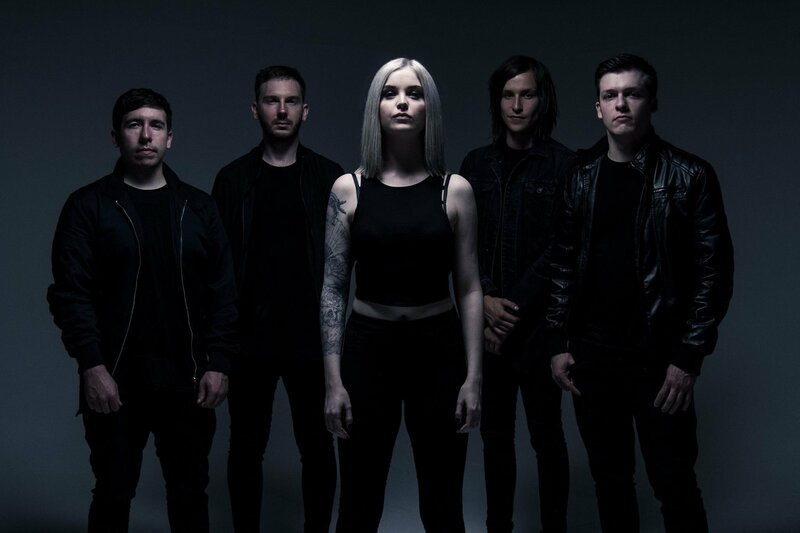 Drummer Scott Johnson, bassist Stephen Ladds and guitarist Connor Macleod (formerly in Yashin) joined to complete the line-up. Stronger and more inspired than ever before, the band proceeded to release standalone single Make A Killing in 2016. Produced by Romesh Dodengoda (Twin Atlantic, Lower Than Atlantis), forthcoming EP Embers captures Divide‘s trials and tribulations as a band, but most importantly showcases triumph in new life.